Many junior developers dream of making it at one of the larger tech companies. Take a look at this list for some resources to prepare for your interview. To be honest with you, getting your first job is never easy. It is, in fact, one of the hardest things in your life and you need to put your best effort to find a job in your dream company. Most of the computer science graduates dream of working for Google, Facebook, Amazon, Microsoft, and Apple but only a few programmers clear their difficult coding interviews. The single most important reason for failing those coding job interviews is the lack of knowledge and practice. If you don't don't know much about what to learn then you are bound to fail, hence it becomes increasingly important that you prepare hard in advance. Unfortunately, I learned this a little too late, after spoiling my chances at Microsoft and Amazon, but you don't need to. You can learn from my experience and prepare better for your programming job interviews. So, the big question is, how do you prepare for coding/programming job interviews? Which subjects should you read up on? Which questions will you need to solve? How do you deal with coding and other technology related questions? When I was hunting for my first job there wasn't much help available; we were totally reliant on our textbooks of programming languages and data structure to prepare for interviews, but things have changed in last 10 years. 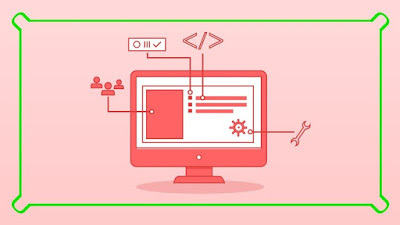 Nowadays, you not only have dedicated books to prepare for coding interview, like Crack the Coding Interview Questions, but you have online courses and Coding Bootcamps to practice for coding interviews. I really like the boot camps because of their methodology, focus, and rigorous practice but they are a bit expensive and not every computer science graduate who is looking for a job can afford that. Another option is online courses like Software Engineer Interview Unleashed, which are both cheap and provide you similar kind of interactive guidance you get in coding boot camps. There are a lot of coding interview courses available on popular course sites like Udemy and PluralSight but you need to choose the right course which can help you to achieve your goal. In this article, I am going to share some of the best online courses to prepare for coding/programming job interviews, and based upon your experience and skillset, you can choose one or two courses from this list to prepare for your next job interview. Most of these courses are focused on data structure and algorithms, which are the most important topics for any coding interview but they also teach you problem-solving and other aspects of Job interview e.g. questions from a programming language like Java and C++, Database, and SQL concepts, Linux commands, etc. Once you have gone through one of these online training courses, you would have enough knowledge to take on your job interview as well know where to go for further improvement. This is probably the best coding interview course for Java programmers. Though no programming language is required, if you don't know Java, the author will teach you. In this course, you will learn how to analyze algorithms like searching, sorting, and other algorithms. You will also learn how to reduce the code complexity from one Big-O level to another level, an important skill to impress the interviewer. Furthermore, you will learn different types of data structures and how to choose the right data structure to solve a problem. Remember, choosing the right data structure can drastically improve the CPU and memory profile of an application. For example, using a set to solve duplicate elements problem make it a lot easier. You will also learn how to find Big-O for every data structure. By the end, you will be able to write code that runs faster and uses low memory. You also will learn how to analyze problems using one technique many programmers forgot to prepare. This is an ideal course for all levels of programmers, particularly Java programmers. If you are looking for a good programming/coding interview course in Java, this is the one. You can use it to start from scratch or just refresh your knowledge before going to interview. This is one of the great courses for coding interviews, created by a former Google Interviewer. If you are a software engineer and you are looking for a job on big tech giants like Google, Facebook, SnapChat, or Airbnb, then this is the right course for you. It is specially designed for college graduates and junior developers who are looking for the job in big technology companies and startups. You will not only learn data structure and algorithms and other technical information required for an interview but also you will get a chance to see actual examples of phone and onsite interviews and see how they are evaluated. This one is another good course for preparing technical job interviews. In this course, John Sonmez from SimpleProgrammer.com has explained what it takes to clear a coding interview. You will not only learn how to solve a coding challenge on-the-spot but also learn how to tackle tricky questions from interviewer with respect to complexity and improvement. The course also includes a blazing fast boot camp for computer science questions about data structures, algorithms, bit manipulation, and concurrency. Overall, a complete package for preparing software job interviews. 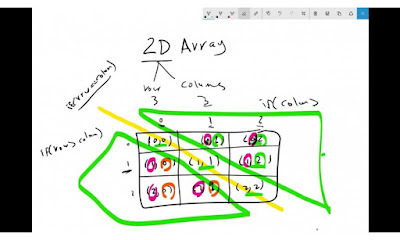 In this course, you will find a huge collection of common algorithm questions, including everything from "reversing a string" to "finding leaf nodes of the binary tree." The course also provides an overview of most important data structures for interviews e.g. list, set, map, stack, queue, tree, etc. It also provides practical tips on dealing with system design interview, which is sometimes hard for beginners given their lack of experience in designing a real-world system. This is another good interview refresher kind of course for Java and C programmers. Similar to the previous course it also covers essential concepts like pointers, string, linked list, sorting, bit manipulation, data structure, and system design. Most of the solutions are given in the C programming language and some are given in Java. This is a good course for fresh engineer graduate and experienced programmers who want to brush up their data structure and algorithm concepts before going for interviews. Many coding problems can be easily solved if you know dynamic programming but I have found many developers doesn't even know about it, including some experienced ones. This course will teach you dynamic programming to improve your algorithms knowledge and prepare for the software engineering coding interview. You will also learn several 1-dimensional and 2-dimensional dynamic programming problems and how to derive the recurrence relation and write a recursive solution to it, then write a to the problem and code it up in a few minutes. Overall a good course to learn Dynamic programming. You can take this course even if you are not preparing for a coding job interview, just to improve your knowledge of dynamic programming and algorithms. The course uses both Java and Python, so its useful for both Java and Python developers. 7. Python for Data Structures, Algorithms, and Interviews! This is a data structure, algorithm, and coding interview course specially designed for Python developers. It's one of the modern course and focuses on things like Github and LinkedIn profile to impress recruits. It also helps you to create a great resume, which much programmers neglect. Remember, it's your resume that gives you a chance for an interview, if it's not good, you won't even get an interview call. In this course, you will not only learn all major data structures and algorithms but also ace coding interviews after preparing for the course's mock interviews. Overall, one of the best coding interview course for Python programmers. 8. 11 Essential Coding Interview Questions + Coding Exercises! No interview preparation is done until you solve some of the most common questions asked in job interviews. This course provides how to solve 11 such questions in a step-by-step manner. It's a short course and I recommend you to take only with other course but it's good for learning how to approach a completely unknown problem based on your existing knowledge of data structure and algorithms. SQL queries and database related questions are very common in programming job interviews, hence it's important for a computer science graduates or programmer to prepare SQL questions in advance. This course provides 200+ SQL queries and questions for programming job interviews. I have also discussed some of the questions like finding second-highest salary and Nth-highest salary on my earlier posts, you may want to check those. This course is particularly for Java programmers or developers who are applying for Java development job. Since Java is vast it's not possible to prepare everything, especially in a short duration of time and that's where this course rocks. It provides a good sample of 200+ Java interview questions from different areas of Java. Along with this, you can also see my list of 140+ Java Questions from last 5 years, which I have collected myself and with friends and colleagues. This set is a good representation of what kind of Java questions you can expect in real interviews. That's all about some of the best courses to prepare for coding/programming job interviews. As I said, the key to success in the coding interview is an ability to think through the problem and code in real time. You need a lot of practice to get that. Thankfully, there are a lot of websites where you can practice coding questions. Once you have gone through one of these courses, you can try solving my list of 50 coding problems. Thanks for reading this article so far. If you like these online courses to prepare well for programming job interviews then please share with your friends and colleagues. If you have any question or feedback then please drop a note. P.S. If you like books then you can also check out my list of top 10 books to prepare for coding interviews.